We don’t often think about it but hotels are a reflection of our socio-economic standings, our personalities, desires, political relations and histories both personal and cultural. But we often choose a hotel nowadays by the click of a button making it easier to find that one of a kind hotel stay or to book that one hotel that has the entire world talking. It’s ArtSmart time again and this month the theme is Architecture. And with impeccable timing the most recent Vancouver Art Gallery exhibit, Grand Hotel: Redesigning Modern Life, lays out the history of hotels around the world and explores the various factors that influence design, what draws people in and what direction current hotel trends are going – you might be surprised that it isn’t always upward and onward. Admittedly I am interpreting the architecture theme loosely by looking at architecture as it operates as a space for culture to produce and change. It’s impossible to map out the entire exhibition for you as it is very extensive and in depth but I am rounding up the top 5 hotel stories loosely covering the past 100 years of the and ever evolving auberge and in some unfortunate cases their fall from the top. In the 1920s and onward when the automobile was on the rise and road trips were an increasingly popular way to travel road trippers were left with little in the way of convenient hotels. 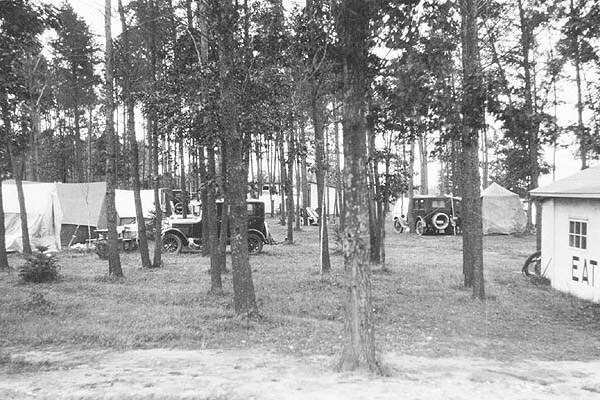 As explained in the exhibition catalogue “Grand Hotel: Redesigning Modern Life” Stephanie Rebik writes in her essay “Camps of Crime”, “once the road trip increased in popularity in the 1920s as more and more people became seduced by the idea of traveling without the hinderance of train schedules and hotel bookings, the swell of travellers camping on private property became problematic, and towns began establishing tourist camps in public parks to discourage squatting”. In 1940 these camps were deemed “camps of crime” by J.Edgar Hoover in The American Magazine which he thought to be places for criminals to easily hide out from the law. Rebik goes on to explain that Hoover’s “call to arms” regarding the “camps of crime” were ignored and grew even more popular for those looking to experience life on the road in America. 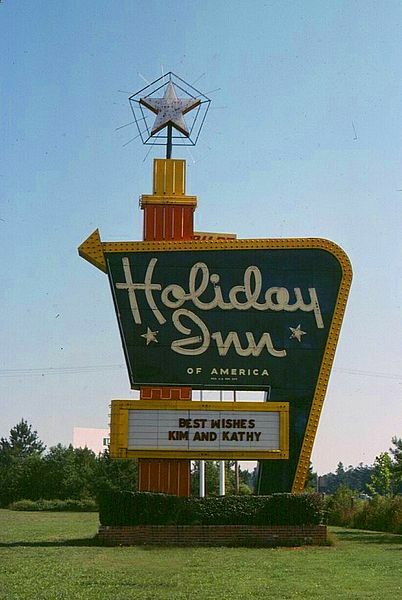 These camps located close to the highway eventually evolved into motels and lead to the rise of roadside hotels and eventually the Holiday Inn when creator Kemmons Wilson saw the need for consistency and quality of comfort in roadside motels. The link to crime these highway motels have are still prevalent in films today such as No Country For Old Men and especially horror films like Psycho, Identity and Joy Ride. The Ambassador Hotel, opened in 1921 in Los Angeles, was once the pinnacle of fine hotel establishments catering to the rich, famous and politicians. 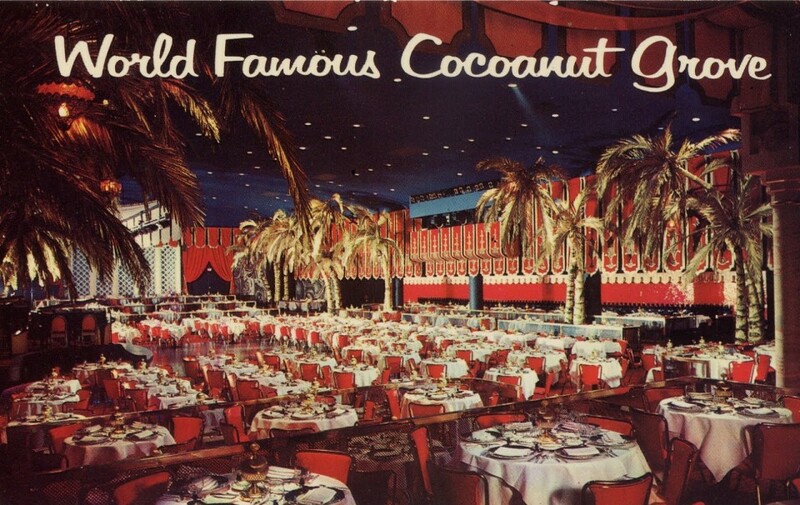 The iconic Cocoanut Grove nightclub, decorated with a Moorish theme and stars igniting the ceiling, was located within this hotel. Its popularity was due to the celebrity that danced and sung upon its stage. It was where the Rat Pack were often spotted, Judy Garland recorded an album there in hopes of staging a comeback, it was home to the Academy Awards in 1930 and hosted the first Golden Globe Awards. 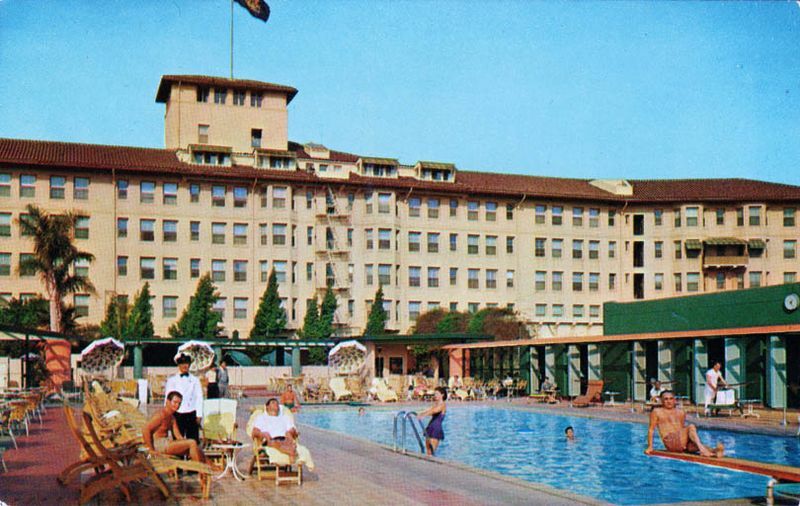 The Ambassador Hotel, demolished in 2005, had a tragic history with the assassination of Robert Kennedy in 1968 which arguably marked the decline of the luxury hotel leading to its eventual closing in 1989. Forever marked and scarred with the national tragedy the surrounding area also started to deteriorate with drugs and gangs while the glamour was abandoned deep within its walls and left in the dark. A hotel not only functions as a place for travelers to sleep and stay in sometimes variable safety but it is also a place where people from all over the world collect for various reasons. 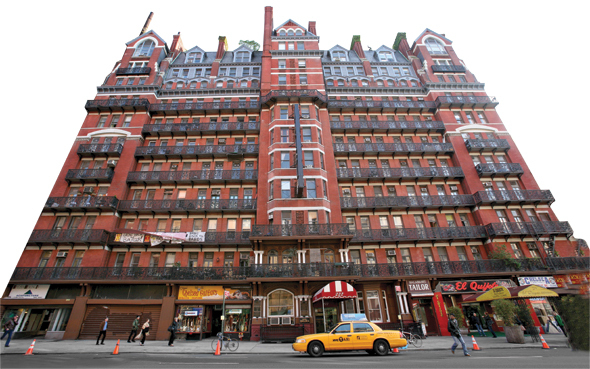 In the case of the Chelsea Hotel in New York, the Beatnik hotel in Paris and the Chateau Marmont in Los Angeles to name a few, often like minded creative people have gathered to create works of art, music and films producing some of the most famous and challenging works of the 20th Century. The Chelsea Hotel has been temporary home to famous figures such as Andy Warhol during the late 60s where he created many short films but most notably The Chelsea Girls. After divorcing Marilyn Monroe, Arthur Miller moved in for six years and wrote “After the Fall”. Bob Dylan wrote his popular 1974 song “Sad Eyed Lady of the Lowlands” and had previous success at the Savoy Hotel in London during 1967 where he met The Beatles, hung out with Beat poet Allen Ginsberg and canonized in D.A. Pannebaker’s documentary Don’t Look Back. The Beat Hotel was located at No. 9 Git-le-Coeur in the affordable Latin Quarter where university students and poor artists would cross paths each day making it a creative hub of the city. The Beat Hotel was the Parisian hang out of the Beat poets and writers during the 1950s to the 1960s where they too made films, wrote and collaborated as a creative community beneath one roof. 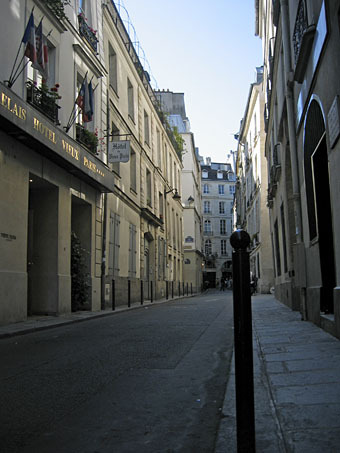 The Beat Hotel was tended to by Madame Rachou who was conducive to artistic endeavours often accepting paintings or manuscripts instead of rent money. It was in her small 1-2 star hotel that the Beats would call home some for up to six years and until its closing in 1963. It was here that William S. Burroughs would fine tune his Naked Lunch (which he ironically first began at The Chelsea Hotel) and Allen Ginsberg wrote “Kaddish” and took a break from the uproar and trial that his most famous poem “Howl” spurred on. Tom Michelberger, as he expressed in his interview with Jennifer M. Volland in the Vancouver exhibition catalogue “Grand Hotel,” is looking to open a second hotel in New York with a similar goal as the Berlin location so stay tuned for developments. One of the most popular trends popping up all over the world today is glamping or glamorous camping. Accommodations can range from a teepee in Canada, a yurt hut on the Pacific coast, an airstream on top of a building in the middle of Cape Town, or a refurbished 1950s travel trailer located in Marfa, Texas or an escape into 1950s Pleasantville-esque kitsch in Bisbee, Arizona. 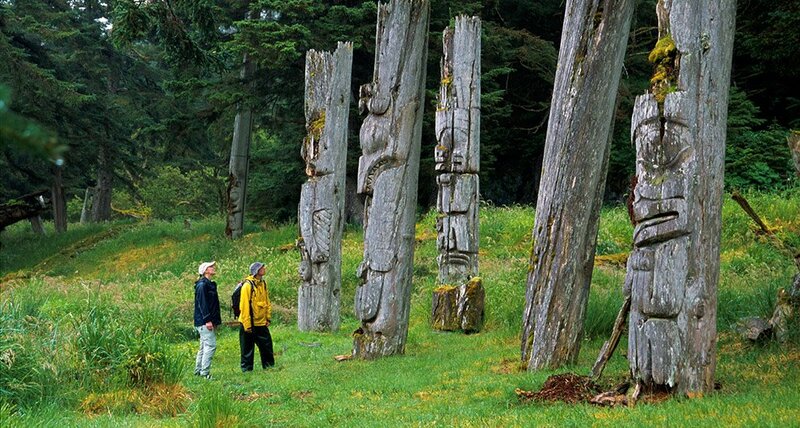 Many of these options are budget friendly, offer comfortable beds, kitchens and bathrooms with the joys and charms of camping, minus the sleeping bags on hard ground. The El Cosmico in Marfa, Texas, looks to form a community much like the Michelberger hotel does but in an extremely different environment. You have your option of six renovated travel trailers from the 1950s or you can stay in luxury-like teepees with king sized beds. The El Cosmico also presents “happenings” such as their annual Trans-Pecos Festival of Music + Love and musical events. 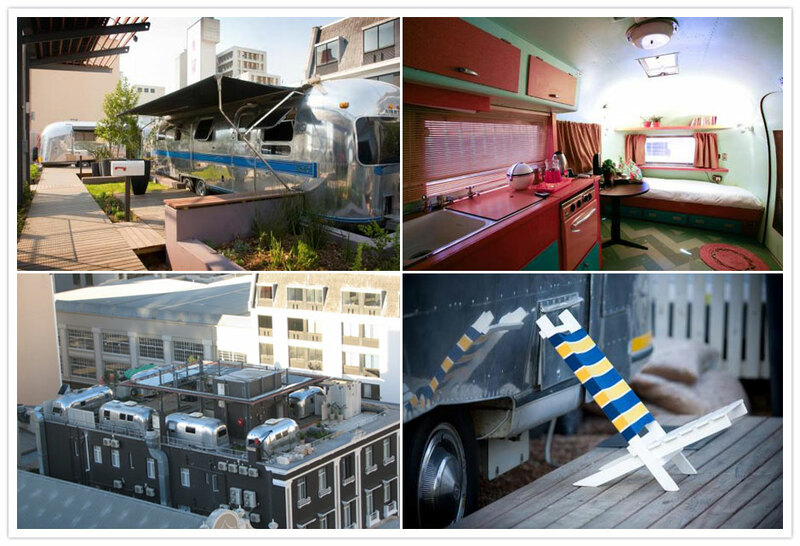 The Grand Daddy in Cape Town, South Africa offers regular rooms in the heart of Cape Town but also has an Airstream rooftop trailer park where you can stay with luxury amenities and unique designs in each Airstream. 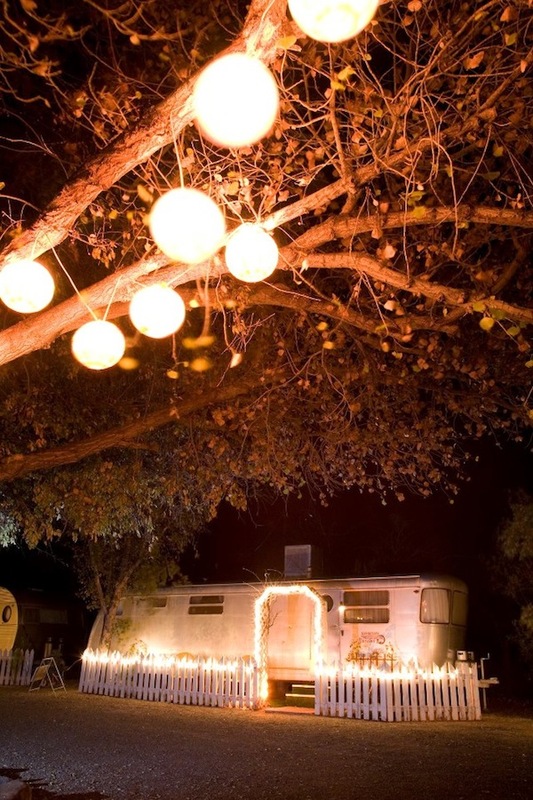 Wether you’re interested in staying in a 1950s themed trailer, an ode to the ballad of John and Yoko put into design, an fairytale perfect trailer called Goldilocks and the three bears, a pink heaven fit for a princess or even an African street style trailer – again each stay can be extremely different. As analyzed within this post hotels were often seen as places that provided reliable and similar experiences while providing a safe place to lay your head for the night. 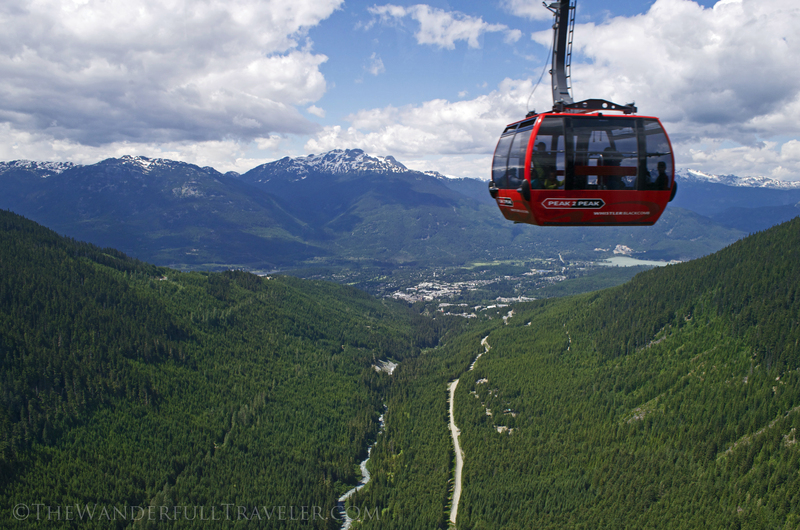 Whether you are staying at the Holiday Inn or a luxury hotel like the Fairmont you now know what you will get each time you say. With the Holiday Inn you get a comfortable stay conveniently located near a highway or an airport. With the Fairmont you get luxury and history that not everyone gets to experience within the centre of a city. But today cutting edge hotels are offering more than reliability, they offer more than unique design and expensive martinis. Today hotels are looking to bring like minded individuals together creating a temporary community involving people looking to come together under the circumstances of travel. Many of the modern day hotels explored within this blog post do not provide the same experience each time you stay with them. Instead it will be very different and depends upon the accommodations you select and the people that you encounter. All that is promised is the consistency that each time you visit you’ll have a unique experience unfolding within a unique architectural space. 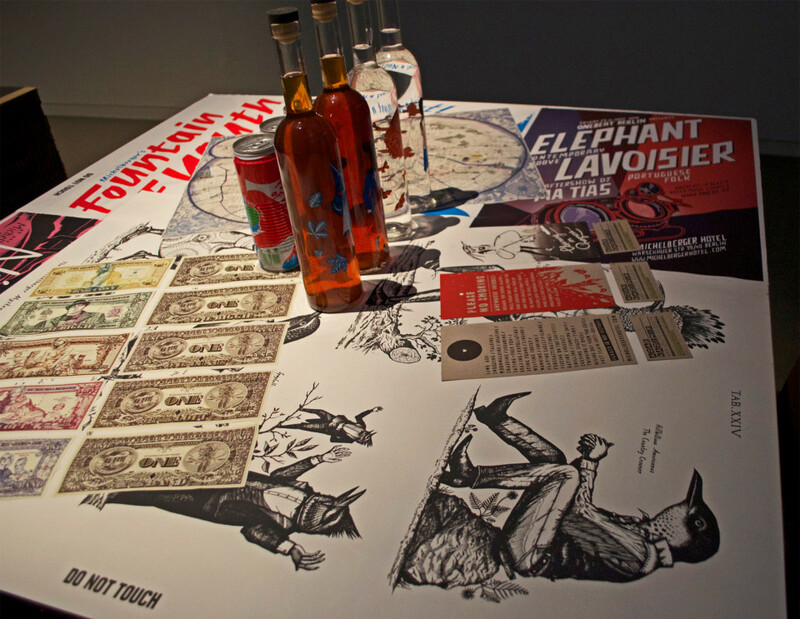 You can visit the Grand Hotel Exhibit at the Vancouver Art Gallery until September 15th. 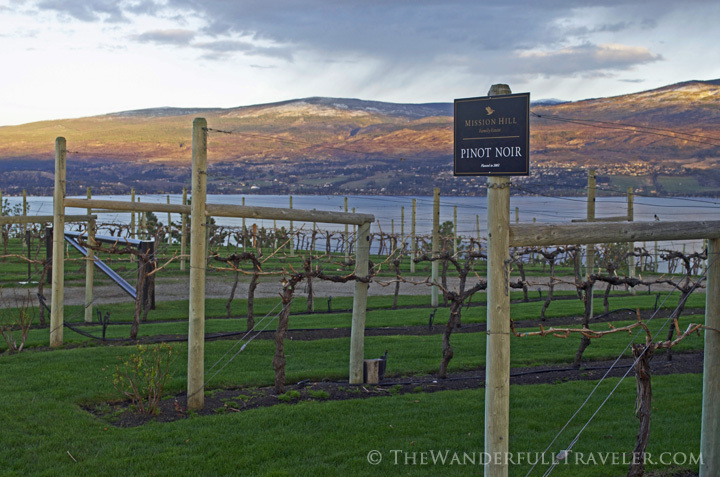 You can learn more by visiting the Grand Hotel Exhibit’s own site and blog here. 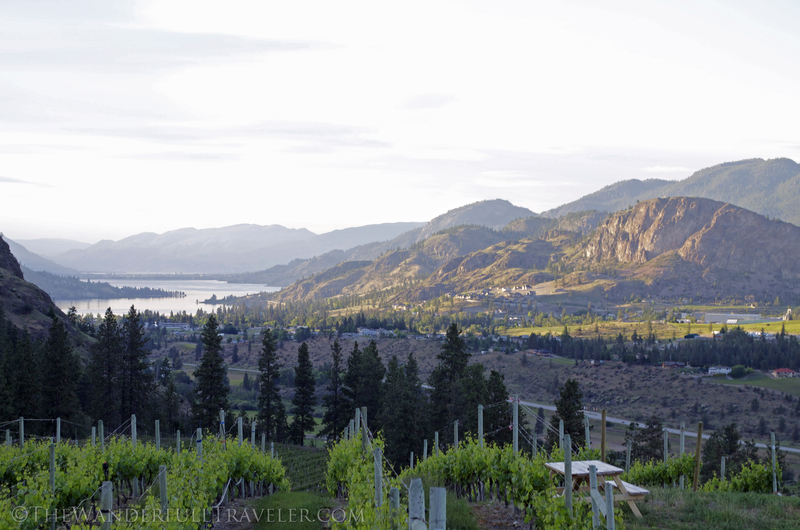 ArtSmart is a group of bloggers who write about a specific topic every month each interpreting it in their own way through travel and experience. Here are more architecture posts from ArtSmart members below. What a fascinating post… and a very creative take on the theme of “architecture”! It’s always such a shame to see great buildings with incredible histories having to be torn down due to under use and deterioration like The Ambassador Hotel. I know! It especially makes me sad that I couldn’t have roamed through its abandoned halls, rooms and especially the Cocoanut Grove before being destroyed. What an interesting exhibit. Thanks for sharing! I’ve never given much thought to the hotel as a work of art but it definitely is. As a writer it dawned on me that the hotel is a great transitional space as well where so much is possible. 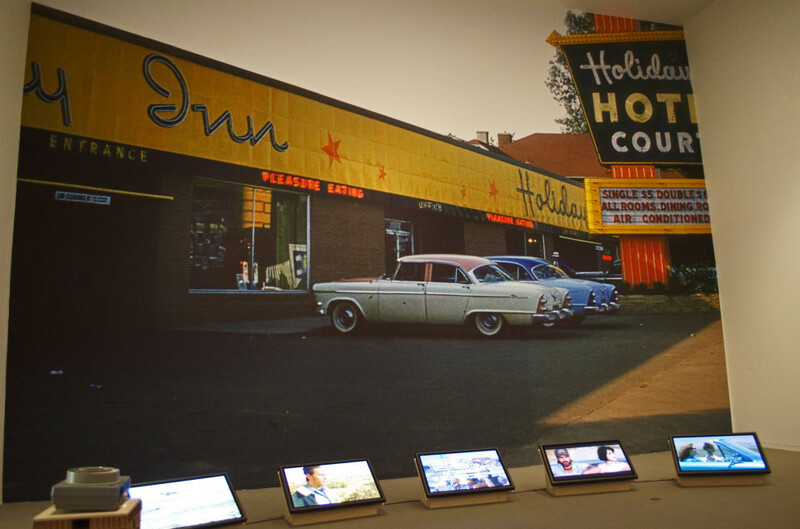 This exhibit was actually named after the film Grand Hotel where a group of travelers are brought together by the hotel but have interweaving story lines. The staircase in the feature image was redesigned to mimic the lobby within the film. 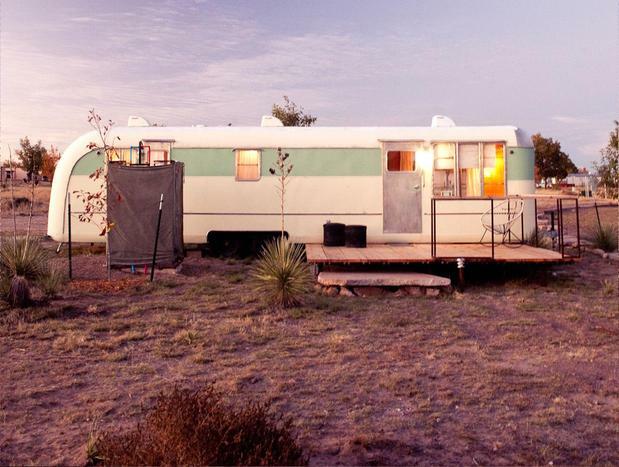 I have yet to try glamping but it looks like I would enjoy it – especially the El Cosmico in Marfa, Texas. What a great concept for an exhibition. The Michelberger sounds like you could never leave and still have an amazing time in Berlin. It was one of the best exhibitions I have seen at the Vancouver Art Gallery since the Surrealist exhibit two years ago. You can tell a lot of work went into it and the catalogue is a great expansion on what you saw and beyond as well as a good stand alone resource of architecture, culture, travel literature etc. Fun topic. My grandmother traveled a lot in the 1950s and 1960s; I’m sure she would enjoy seeing how things have changed. My great grandparents traveled often too. They went to Vegas and I’ve been going with my grandparents and parents for years now – it is amazing how things change just within the context of Las Vegas. The Flamingo’s history was fascinating but unfortunately I had to cap this post at 2000 words lol. Love this post, Murissa! I’m fascinated by the remnants of old motels and historic hotels. Thanks for the inside peek at the exhibition; that’s one I’d love to see. I am intrigued especially by abandoned hotels like the Ambassador was – It would have been amazing to sneak inside before it was demolished. There are a few bloggers that actually did get to go inside if you hunt around the internet a bit.